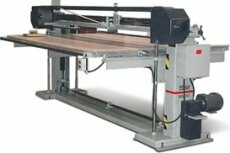 Progress Doucet Stroke Belt Sanders are low cost, manually operated, sanding and polishing machines. Built around a all welded structure, for a long lasting durability. • Table with steel rollers and virtually wear free balanced and quiet running aluminum pulleys with sealed ball bearings. • Magnetic starter (overload protection) adjustable beds and a full tracking unit. 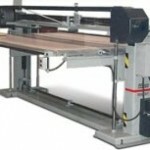 Table sizes, abrasive belt sizes, pulley sizes and HP motors vary according to the model.